Montblanc #146 Lined Notebook - Le Petit Prince. 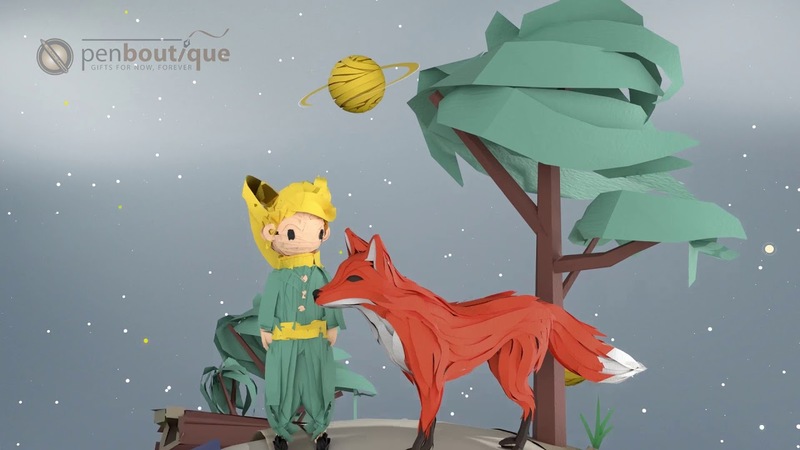 Inspired by Antoine de Saint-Exupery’s two kind characters, Le Petit Prince and the Fox. The Fox represents bonding and friendship whereas Le Petit Prince transmits message of our dreams and values. The elegant notebook cover is made of deep blue Italian calfskin and chrome tanned. The cover is decorated with Montblanc emblem with palladium-coated ring. An orange bookmark is available. An inspiring companion for your everyday life.